Daikin is renowned for its quiet indoor and outdoor units due to the advanced technology in the compressor, fan and motor. 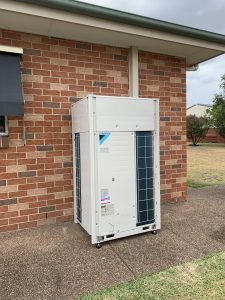 Split systems are available in Reverse Cycle (providing cooling in summer and heating in winter). They have easy-to-operate back lit remote control and programmed settings as well as a host of innovative features. Below is the Daikin range of Split System air conditioners. Wall Splits are available using either R410A or R32 Refrigerant. R32 refrigerant is a long running industry standard refrigerant whereas R410A is the latest advancement in refrigerants. As a guide, 2-5kW models are for small to medium sized rooms or areas of a home and 5-8kW models are for medium to large living areas. Daikin is constantly working to develop and produce systems that have the lowest running costs in the industry. 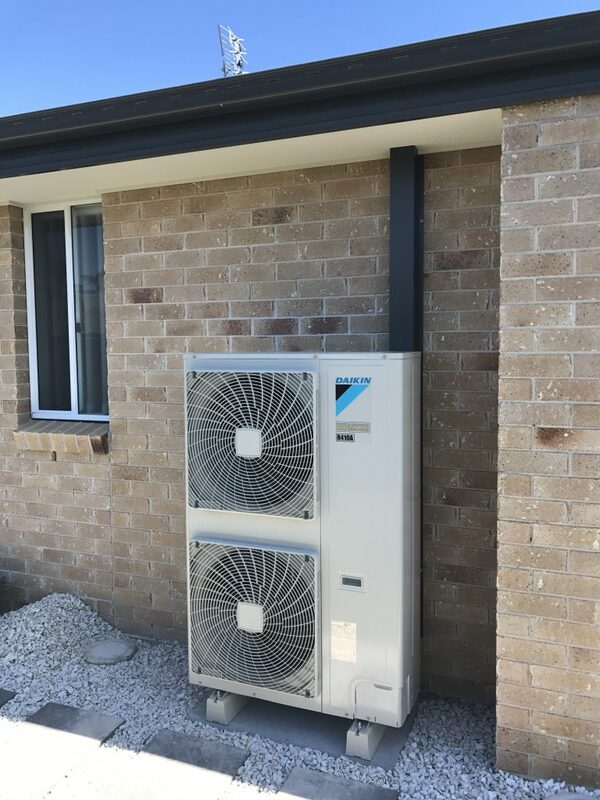 The new Daikin Super Inverter split system incorporates 95 patented features that help to save on energy costs. Some specific model features include: Intelligent eye, an infrared sensor with the ability to sense human movement in a room. When you are in the room, the air conditioner operates normally. If you leave the room for more than 20 minutes the air conditioner automatically changes to energy saving operation. 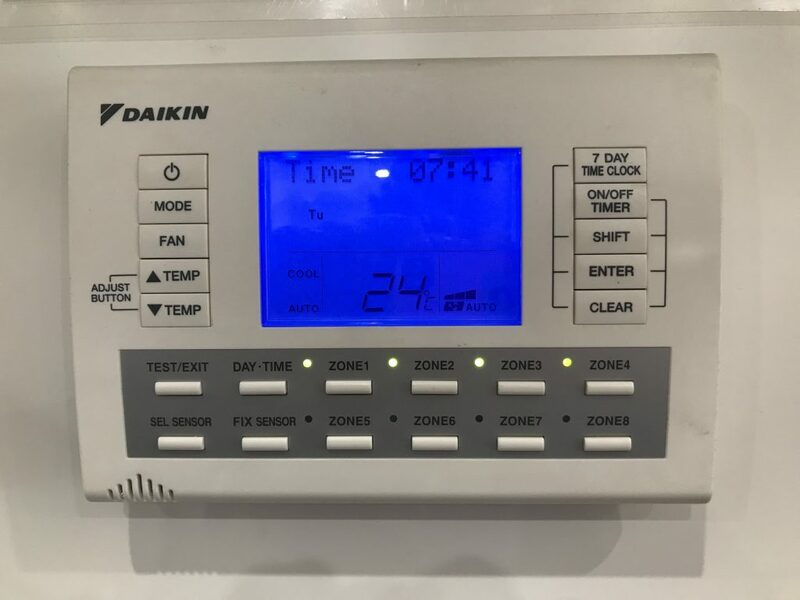 24Hr ON/OFF Timer which can be preset to start and stop the air conditioner at any time within a 24 hour period. Once the times are set, the air conditioner can be operated for a period by simply pressing the ON or OFF timer buttons.